Our lawn fertilization program will keep your lawn healthy and green. 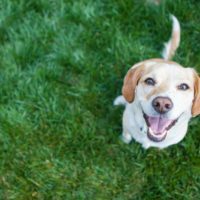 We offer flea & tick control to keep your family safe and comfortable. We offer a variety of services including lawn aeration, seeding, grub control, weed control and more. Pristine Lawn Care LLC is a lawn care business based out of Ellington, Connecticut. It was established when the founder Randy Crawford realized he could have a much better impact on the environment and in the business community if he decided upon a firm of his own. He’d already acquired years of experience, due to working at his previous lawn care firm, which had unfortunately dissolved. And thus the company was born. At Pristine Lawn Care, the firm prioritizes time and cost efficiency and effectiveness at all costs. We specialize in providing services that are the most sought after, and we keep our products true to the highest quality available in the market. Pristine Lawn Care is a lawn care company. It is a company that does what it claims to do: It provides you with the top of the line care for your lawn and gardening spaces. 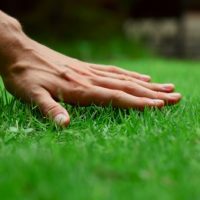 We take pride in keeping your property green, and we make sure you and your plants stay healthy and safe from weeds and ticks which might plague your lawn and yard spaces all year round. We specialize in a handful of services that we proudly claim to provide a unique experience for. 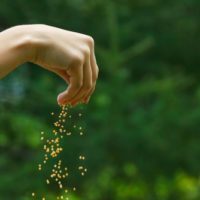 Our fertilizer program is carefully curated to save net time, money and resources, without affecting the efficiency is the process. Tick control services are another specialty of ours, and we, as a reliable company also provide weed control along with aeration and seeding opportunities at the moment. The answer is easy: Pristine Lawn Care is the best in the market at what it does. We’re not hesitant to break away from the traditional way of doing things if it means we can save time, reduce cost, and give the best result.